Shoppers looking for a stylish, modern laptop with a backlit keyboard, good variety of ports, fast charging battery, and high-definition touchscreen display will find all of these features with the Acer Spin 5 SP513-52N-85DC. An active stylus works well on the 13.3-inch display and allows the user to make sketches and take notes. There are different modes, including Tent mode, which is useful for watching videos in even the tightest spaces, like an airplane, train seat, coffee shop, office chair, etc. The Spin 5 can also be used as a regular notebook as well as a tablet. This is a well-rounded convertible with its metal build and stylish look. When using it as a regular notebook, users find that the keyboard is designed very well. It provides a nice, comfortable typing experience as the keycaps are decently sized and have ideal spacing between. It’s always good to have a powerful processor in a small notebook, and that’s precisely what the Acer Spin 5 SP513-52N-85DC offers. It can be configured with an Intel Core i7 processor (8550U) quad-core that runs at 1.80-GHz. The 13.3-inch display is LCD and features IPS technology and a full HD screen mode with LED backlight technology. the As mentioned above, the Active Stylus Pen works great on the multi-touch screen, which has a 1920 x 1080 resolution. The Pen is designed to deliver accuracy, no matter what you use it for. The battery is a three-cell Li-Ion battery with 4670-mAh capacity. 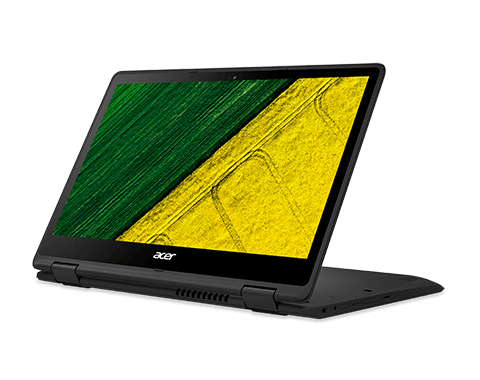 Acer promises that it can last for several hours per charge, although it depends on what kinds of applications and websites you have running. The power supply has a maximum wattage of 45-W. It takes approximately 1.5 – 2 hours to charge the battery up. The built-in devices include a microphone, two speakers, fingerprint reader, and webcam with 1280 x 720 resolution (720p HD for audio / video). Connectivity includes HDMI for connecting with a high-definition display, two USB 3.0 ports and one 2.0 port. The Acer Spin 5 SP513-52N-85DC is a must-have convertible tablet / notebook for anybody who wants versatility in a machine but doesn’t want to spend a lot of money. It has something to offer everyone: students, professionals, regular consumers, etc. Want a good deal on an Acer notebook? Coupons and special offers are easy to find. Just look over the deals and decide which one would be best for you. Get a huge Acer Spin 5 SP513-52N-85DC discount and order it with accessories today. 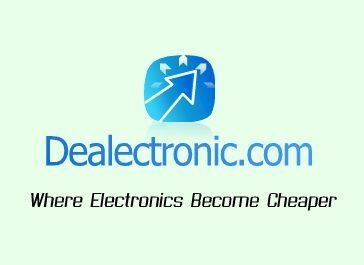 Posted in Acer Laptop Reviews, Acer PC Reviews, Laptop Reviews and tagged acer, acer laptop, acer spin 5 sp513-52n-85dc, laptop.